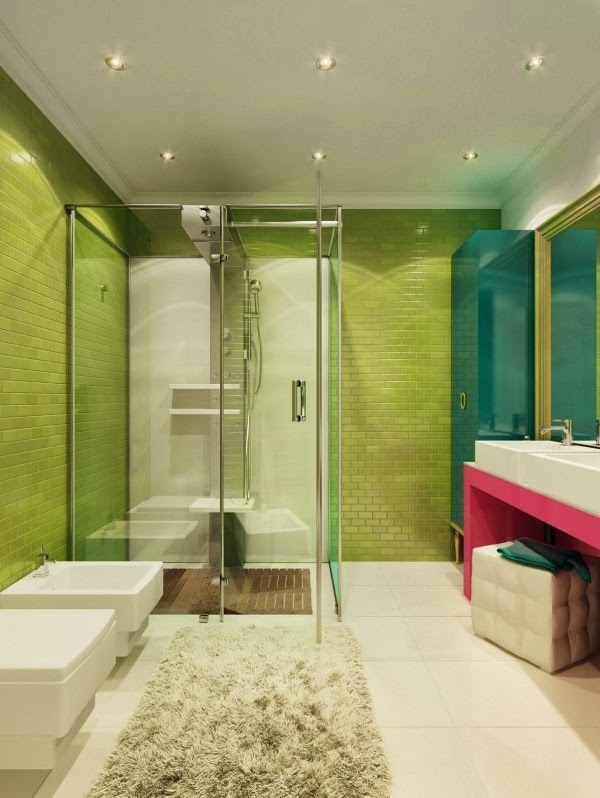 To da loos: Green and pink bathroom, is it masculine enough for the boys? 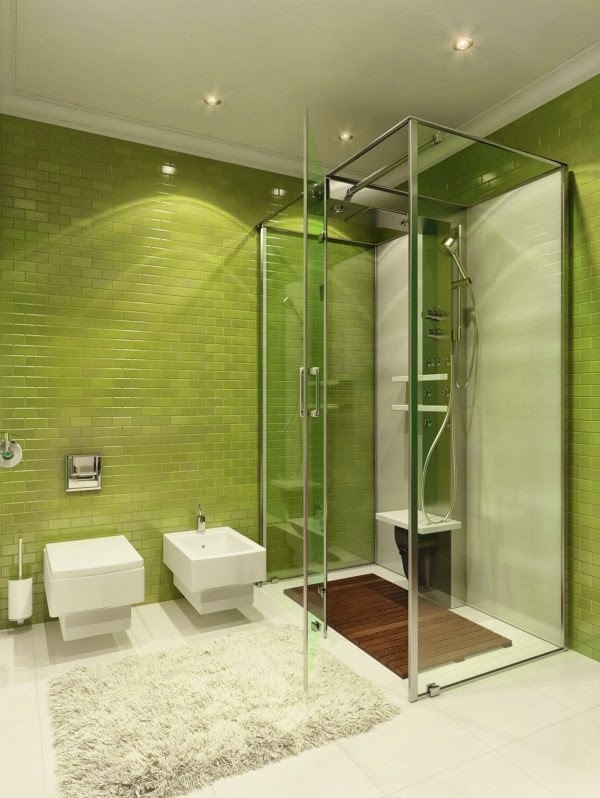 Green and pink bathroom, is it masculine enough for the boys? Last week we looked at a modern pink and white bathroom (check it out here). I absolutely loved it, but some guys in the audience still found it a bit too girly for their taste. 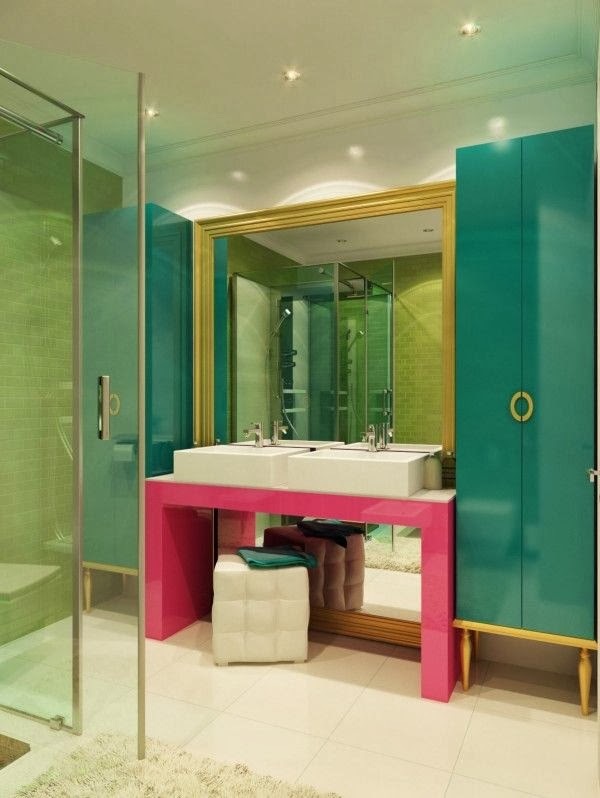 I came across this mostly green bathroom with just a hint of pink in its glossy pink vanity. minimalist Lilly Pulitzer bathroom a teensy bit. 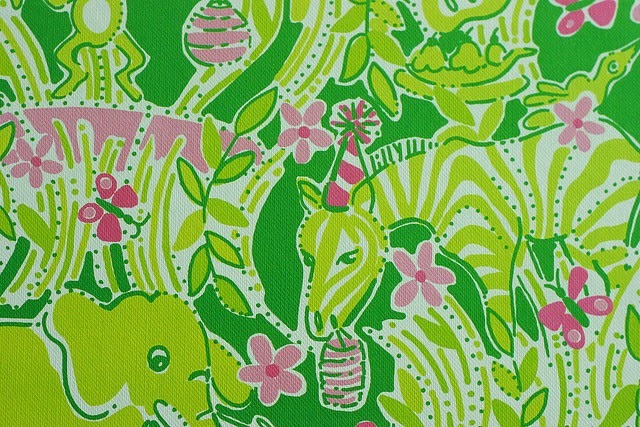 Ok, compare this bathroom with these Lilly Pulitzer prints. See what I mean? All this bathroom would need is a few fun patterns. really a super girly bathroom?